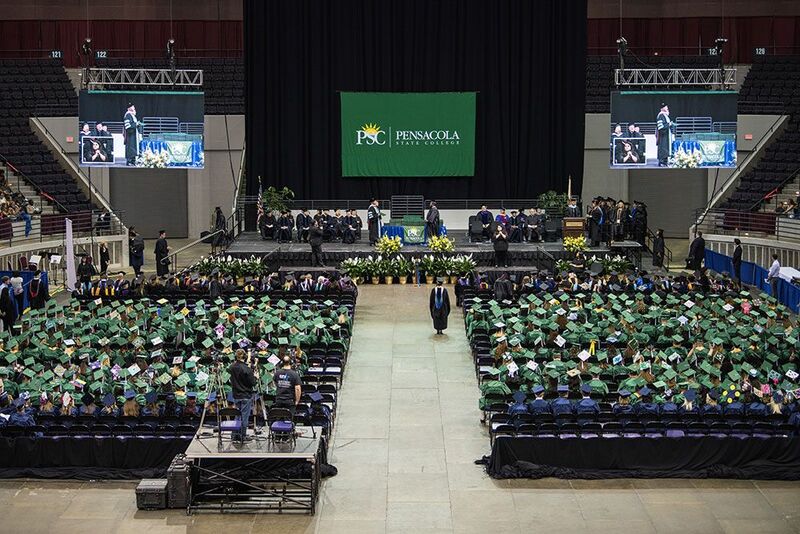 Pensacola State College sophomore Venessa Castor is being featured through the Florida College System social media as an outstanding student in celebration of Disability Awareness Month. A native of El Paso, Texas, Castor began her college life in Hawaii several years ago with a few classes at Honolulu Community College. 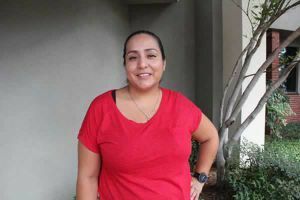 When the U.S. Navy transferred her husband, Rafael, to Pensacola in 2014, she enrolled at PSC and found success as a student. “At first, I was nervous about some of the classes that are required for the Associate in Arts degree,” Castor shares. “My disability makes writing and reading difficult, and I often struggle with courses that have a writing emphasis. After graduating with an A.A. degree in December, Castor and her husband will be transferring again in early 2017. “I am looking forward to continuing my education at our new location. Eventually, I want to get certified and have a career in radiology or sonography,” she says. A favorite PSC memory that Castor will keep as she moves forward is her experience working part-time as a mentor with the college’s PALS students. “Working with PALS (Program for Adult Learning and Support) has given me the opportunity to help special needs students who might not otherwise be able to take college classes,” Castor says.